Every affiliate has websites that are successes and failures. However never do we actually build a site with the idea of it being a failure. Every website we build, we are building it full of optimism and confidence. We’re either going to dominate an existing niche, or target a new unsaturated market. Either way – this next website we’re building is going to be massive, and a big earner. Yet that’s a sentence I can’t actually say for the website I just recently built. And this isn’t just pessimism – this is from my years of experience of being an internet marketer. I would be very, very surprised if this website becomes a success at all financially. Yet I honestly don’t care. I’ll probably put 30-40 hours into this website – 30-40 hours that could be put to use on websites or projects that WILL be a success. Instead I’m devoting all this time and energy to an expected failure of a website – yet I don’t care. Not really – and it goes back to the fundamentals of any affiliate marketing advice I always give. I’ll touch on that at the end of the article. It’s a time limited niche website – but I ran out of time. The website in question is WorldCupBettingTips.org. 2 years ago, I launched another website: BetEuro2012.org. It was a website essentially offering betting tips and odds on Euro 2012. I launched that purely as a test – to see if a time limited niche website would still work in 2012. It did extremely well, generating over $25,000 revenue in that year alone, and getting around 60,000 unique visitors. The income continues to come in from that site today, although nowhere near what it was doing at it’s peak. So I decided to build another one for the World Cup. I learned a lot from that website. There’s certain content that works, and I know how to maximize the content that usually doesn’t convert. But the most important thing I learned, and something I’ve been testing over the years – is all about the launch. The most important part of a time limited niche website is WHEN you launch it. This sort of website should have launched 3-4 weeks prior to the World Cup starting. This would allow the content to get indexed, backlinks to be put in place, and for it to start ranking. Continual content updates would keep Google coming back, and would allow me to target specific longtail keywords I know that work, doing articles that generally don’t result in a quantity of visitors but do have strong chances at converting. But I ran out of time. Instead of launching 3-4 weeks prior to the World Cup, I launched about 10 days prior. Now this is already a big deal as it is – but there’s many more things that running out of time affects, that I’m going to go into here. The core component is content, and that’s where the site is hurt. With a new website, you generally want a lot of content so you are coming out of the gates judged as a quality website. It doesn’t always happen that way – but yeah, launching a new website the best chance you can give yourself is a lot of content. I planned to launch with 40 articles, adding 2 per day. Instead I launched with just 13 articles, and have been adding content whenever I can get to it. It’s very simple: the less content on the site, the less visitors you are going to get. Worse – I had to focus on the betting tips content mainly, which is actually some of the least converting content on the site. Due to running out of time, I wasn’t able to launch with my ideal website design template which is set up for maximum conversion. Instead I had to use a basic one I use that “works okay”, but is nothing special. Due to running out of time, I’ve immediately decreased the chances of converting the visitors I DO get. Even the content I HAVE written is really nothing to write home about, and it’s been a struggle. Prior to Euro 2012, I was able to put so much research into the tournament. I spent hours discussing and debating with some friends, going over everything with a fine tooth comb and being really, really excited about Euro 2012. 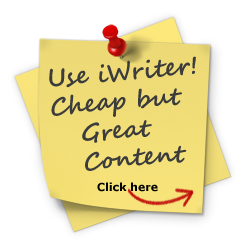 What this meant was not only was I writing solid content – it was a LOT easier to write as well. I set a minimum 500 word count for my articles, and I was breezing over that with ease. This one for the most part I’ve had to do the research on the fly. For the major teams I’m good – but when it comes to Iran and Japan etc it can be a bit of a struggle. I’ll have multiple browser tabs open going over everything, and then it becomes a struggle just writing the content. With the previous site I would write an 800 word article in about 10 minutes or less. With this site it’s about 30-45 minutes per article just for 500 words, with the amount of research and the fact that it’s not flowing as well due to not as much knowledge. That’s not good, and it bugs me. I’ve often said – when I build a website, I build it with the aim of it being the BEST in that category. While it’s still solid content – it’s nowhere near the BEST, and that’s something that eats away at me. Generally when you build backlinks to a website you want to take it slow and play it natural. With a time limited niche website you don’t want to go overboard as it can cause flags to ruin your site. Unfortunately without that time, I’ve had to throw backlinks at the site and just hope for the best basically. A risk that I never wanted to take. I was only able to focus on the basics for this one – content, and praying to the Google Gods every day. At the last minute I’ve started a $10k or Bust Betting Challenge but I haven’t really had time to promote that, nor will I.
That’s great because it has the potential to go viral – the dog just need to make a couple of correct picks and you start pushing it and there’s a great chance it takes off. I’ve been planning this World Cup site for 2 years. As soon as Euro 2012 ended, I bought the domain and I got planning. I had about 15-20 potential viral marketing ideas. Due to lack of time, I’m doing none of them. When you build a time limited niche website, time is not your friend. It is your enemy. You only have a short amount of time – a small window – to actually capture visitors AND convert them. Therefore you need to present the best possible website you can, with the maximum conversion options possible. Because as soon as that window closes – it’s over. Unfortunately, I’ve missed the window. As I sit here, 24 hours before the World Cup starts and still more content that I need to write, it’d be easy to be frustrated. Looking through the site, at the hours I’ve poured into it, and looking at the weak traffic stats and thinking it’s all for nothing. You might think that the lesson you should take away from this is that with a time limited niche website – you need to focus strongly on time. One of the basic things I say to all new affiliate marketers is this: build something you are passionate about. Why do I say that? Simple. Because the first website is usually going to be a failure. It’s more of a learning experience than anything else – understanding SEO, getting used to how WordPress works, testing out conversions etc. But if you go into that first website with high hopes and it becomes a failure – that’s enough to kill off your motivation for affiliate marketing. That’s why I tell people to build something they’re passionate about. Build a website where you don’t care if you make money or not. Build a website and write content simply because you WANT to – if you make money then great, but it’s not the end of the world. I grew up in Scotland. Football is my life. Doing a website like this – even if it makes me absolutely nothing, is still a lot of fun. Because I learn so much more about the players and the teams and the tactics. Korea Republic versus Algeria is not just a game that I’ll watch “just because” anymore – it’s now a game where I could name the starting line-ups, and tell you the tactics that they’ll most likely play. Essentially – it’s made me CARE a lot more about the World Cup, and it’s drastically increased my interest and enjoyment in the World Cup. To me – that’s made it all worth it. Plus hey – every cloud has a silver lining, right? Maybe I’ll end up with a backlink from Failblog! This article was written on June 11, 2014 however all articles are looked at on a monthly basis and updated to keep them relevant. 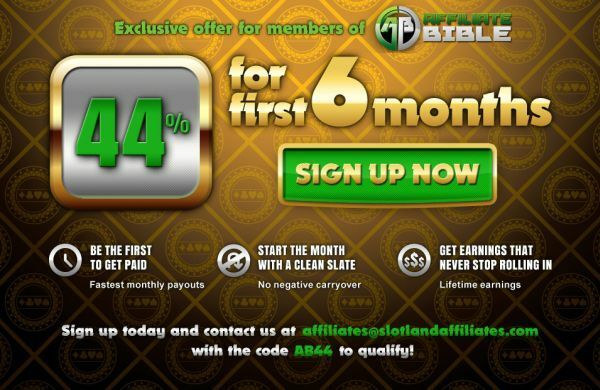 Welcome to the All New Affiliate Bible!